When Ridley Scott dreamt up Gladiator in the late 1990s, no one could have known that his swords-and-sandals film would be such a big hit, earning he and his team box office records and a few Academy Awards along the way. Starring Russell Crowe (and earning him an Oscar), Connie Nielsen, Joaquin Phoenix, Oliver Reed, and more, Gladiator told the story of Maximus Decimus Meridius, a Roman general who is betrayed by Commodus, the son of Emperor Marcus Aurelius. Power-hungry fool Commodus kills his father, takes power of Rome, and makes Maximus a slave (not cool). Rising through the ranks, Maximus, a powerful fighter, becomes a gladiator set on avenging the deaths of both his family and his emperor. Personally, I love Gladiator. I try to incorporate it into my daily life as much as possible. For instance, I scream "Are you not entertained?" like, all the time: in malls, on the subway, in crowded restaurants. People really like it. Anyway, in honor of the movie’s 15th anniversary, I did some digging around to find out some typically unknown facts about Scott’s epic film. From fat and skinny actors to the option of a real rhinoceros, here are ten things you didn’t know about Gladiator. You know how Crowe is all beat up on the movie poster? Like, he looks like an actual gladiator, covered in blood and bruises. Well, that’s not CGI or makeup, folks: Crowe really did get the ever loving you-know-what beat out of him on that movie set. 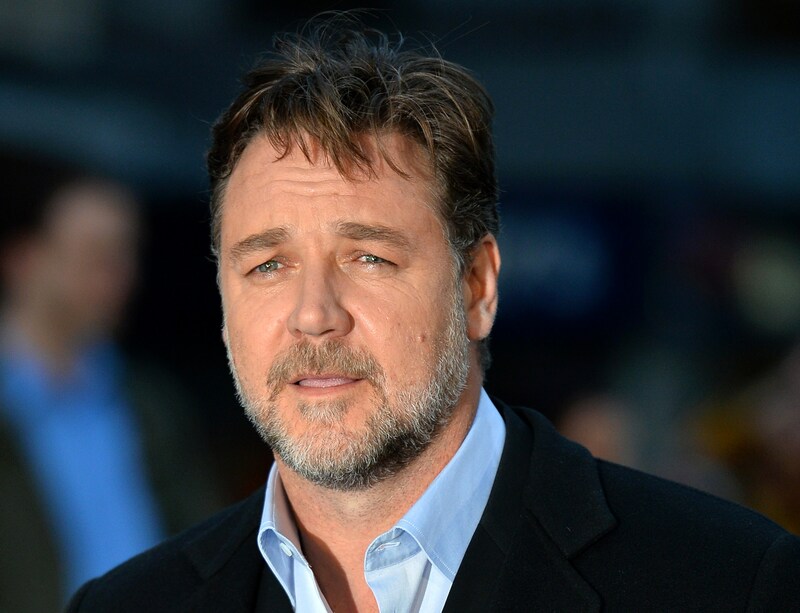 He fell off a horse, he got hit, he broke some bones: You can never say that Crowe doesn’t do his own stunts. In the beginning battle, the Roman fighting strategy is all wrong. You see, Roman legions were trained to fight as one force, lest they be separated and picked off by barbarians, who were the better fighters. If you’ve seen any of his movies, you know that Scott likes to do things big. So big, in fact, that all of the tigers in the film were real (there were plenty of trainers with tranquilizer darts on set), and Scott even tried to figure out how to get a rhino in the arena. When it was prohibitively costly and, you know, dangerous, Scott just decided to keep the tigers. Nielsen’s frightened look after Phoenix screams “Am I not merciful?” in her face was the real deal: Phoenix totally ad-libbed the famous line, and Nielsen wasn’t expecting it. Oliver Reed played Proximo — a major character in the film. Unfortunately, he died during a break from filming at the age of 61, and Scott chose to recut the film and add CGI to finish out his integral part in the movie. Given the size and scope of the cast and the story, 10,000 costumes had to be made for Gladiator. Thankfully, costume designer Janty Yates won an Oscar for the work — she certainly deserved it. Gladiator itself was inspired by epics like Ben Hur, but Crowe’s Maximus haircut in the film came from a much more contemporary source: A George Michael album cover. I guess you gotta have faith, right? Marcus Aurelius actually died of the Plague – he wasn’t murdered by his son. The Romans actually liked Commodus until he ruined Rome's economy. But the Romans got their revenge: After Commodus threw up poison meant to kill him, he was strangled to death by Narcissus. To celebrate the end of filming, Crowe and a handful of friends took a road trip, to the tune of several thousand miles, around Australia on their motorcycles. Seems like a nice way to blow off steam, huh? Crowe had wrapped The Insider before he started filming Gladiator, and he had to lose the 40 pounds he gained for that role. Someone, he did it all before filming even began — he attributes his weight loss to his working on a farm in Australia, but that’s the equivalent of “I exercise and eat healthy” from actresses. Phoenix was sent into a dietary tailspin when Scott mentioned to one of his producers that Phoenix was getting too fat. That producer told Phoenix, who proceeded not to eat for the rest of the shoot. Cold, Ridley. Cold.